Forecasting toxic cyanobacterial blooms throughout the southeastern U.S.
We are still working on organizing our project dataset in addition to completing the phytoplankton counting. We expect to publish our findings as soon as possible. Thanks for your patience with us. In addition to working hard to process 2013 samples, we have just set our dates for our spring 2014 workshops. Please join us in Auburn (March 10-11) or Chapel Hill (March 24-25). Sampling is done. We are waiting on a few samples before we start our analyses. 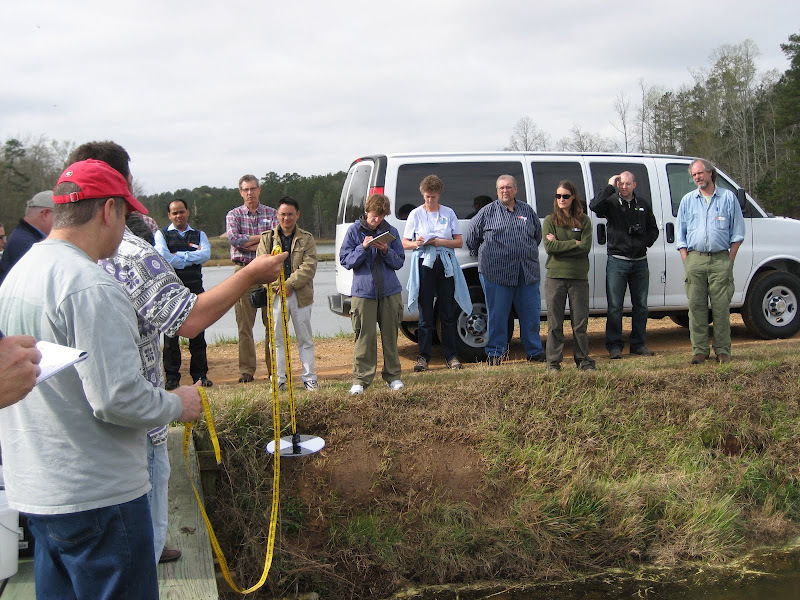 Also, note that we have scheduled our spring water quality workshops in Orlando, Florida (Feb. 28-Mar 1, 2013) and Chapel Hill, North Carolina (Mar 14-15, 2013). Please plan to join us. Sampling is nearing completion and our colleagues are returning samples to us. Soon we will start sample analyses! We just confirmed that one of our spring 2013 water quality workshops will be held at the Global Research Institute at the University of North Carolina, Chapel Hill. Stay tuned for details about registering for the workshops. Also, we will begin looking for additional collaborators for summer 2013. Please contact Alan Wilson if you are interested in joining us. Sampling gear is on its way! Be on the lookout for your box. We just held our second water quality workshop (Auburn, AL). The meeting was a lot of fun, and we had great students. We are currently requesting that our colleagues send us information about their study sites using this excel file. We need these data by 1 February 2012. Thanks. We are currently looking for collaborators throughout the Southeast who study freshwater systems (lakes, reservoirs, ponds, and rivers). If you are interested in this opportunity, please email Alan Wilson so that he can add you to our contact list. We will begin shipping sampling supplies in May 2012. (1) Within routine water quality sampling program, collect additional samples for this project (see SOP). We will provide all sampling supplies. 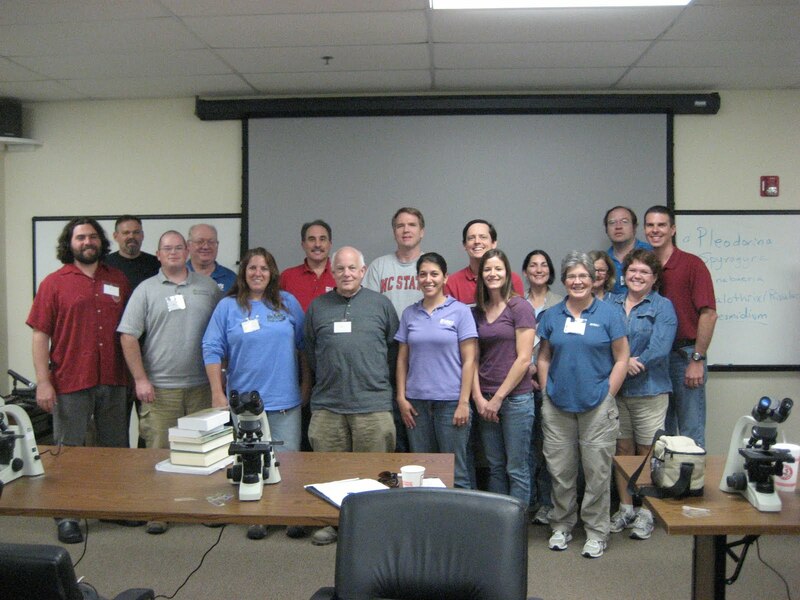 We have tentatively set dates for our upcoming Spring 2012 water quality workshops in Orlando, FL (February 10-11) and Auburn, AL (March 12-13). Each workshop will accommodate up to 30 participants. Support will be available to cover some expenses to get to the workshops. Stay tuned for registration instructions.